Tactical Espionage Action. There’s no question that the PlayStations’s Metal Gear Solid was a revolution in video game design. But the N64 offered up a third person stealth/shooter of its own, and although it’s often-forgotten, WinBack’s innovations continue to influence game design to this day. Jean-Luc Cougar is a member of the elite Strategic Covert Actions Team, which has been dispatched to the GULF security complex. The installation has been taken over by the Crying Lions terrorist organization, allowing them control of a weaponized satellite straight out of GoldenEye. Unfortunately, just before their drop-point, the team’s helicopter is hit, and Jean-Luc’s comrades are scattered. As Jean-Luc, you must work your way through the GULF installation, reconnect with your lost teammates, take down Crying Lions’ own rogues gallery, and… save the world. WinBack’s controls are a complex, but beautiful thing to behold. Running up to a wall and tapping A will allow you to back onto the surface. From there, you can watch and wait for targets as they come by. Hold R to pop out from around the corner, and tap A to shoot. Release R to return to the safety of the wall, and wait to plan your next move. The game also allows for crouching, rolling, and general badassery. Once you’ve managed to master WinBack’s controls, the game will have you feeling like a covert God… for a while. The title is a long affair, lasting 31 lengthy and very same-y missions broken up by checkpoints. Unfortunately, as awesome as poking up or around environmental objects and blasting away dim-witted terrorists is, it lacks the compelling storytelling insanity of its more famous predecessor, Metal Gear Solid. WinBack’s moveset may seem obvious now, but for its time, it was new, brilliant, and kind of revolutionary. It’s too easy to dismiss the game as an also-ran against its great PlayStation influence. WinBack’s innovative cover system and laser sight shooting took what MGS did with stealth and evolved it, introducing the world to mechanics that would go on to inspire MGS2, Killswitch, Gears of War, Resident Evil 4, and almost every other third-person shooter of today. WinBack ended up being ported to the PS2 in 2001 which allowed for better graphics and the addition of some questionable voice acting. The title was followed up by a poorly recieved sequel in 2006, and has since been quietly forgotten. Still, the game’s legacy lives on through its influence. Let me know what you think of Winback and the Definitive 50 in the comments section below, don’t forget to rate and subscribe. 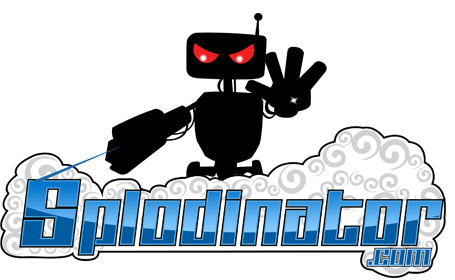 Be sure to like us on Facebook as well to get the full Splodinator experience. Check back next week for entry #44 on the Definitive 50 N64 games.